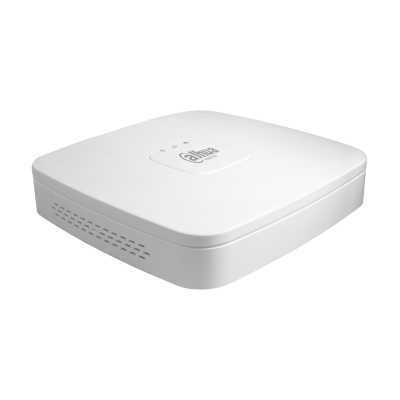 The Dahua Tribrid DVR range are able to work with Dahua HDCVI cameras to provide high definition 720p and 1080p recordings, in addition to this they are able to accept IP cameras and conventional CVBS analogue cameras making these recorders very flexible and easy to use. Dahua use their proprietary HDCVI compression technology to enable full HD CCTV images to be carried over conventional CCTV existing cables allowing a simple upgrade path for CCTV installers. 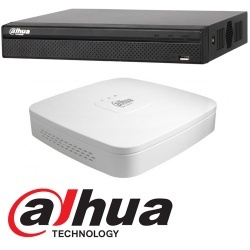 Dahua DVR recorders ar also available in full IP NVR versions for sites where IP is required. 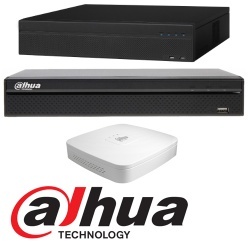 The Dahua DVR High Definition recorders are affordable high quality recorders yet have all the features required by CCTV installers/end users such as network connections, smart phone apps, HDMI output, composite and VGA outputs, audio inputs and outputs, alarm inputs and outputs etc.